It’s the Championship playoff final. My Leeds United team is 1-0 down with 25 minutes to go. With few other options I switch from our traditional 4-4-2 counter-attacking style of play to a 3-4-3 attacking style. With 15 minutes remaining there is still no change in score so off comes the ever-reliable McDonald, the Championship’s top scorer, and on comes Marcos Jnr, the wildcard January signing who has been out injured for the majority of his short time with the club. 78 minutes on the clock and Marcos Jnr fires home. Exactly 10 minutes later he scores again. The final whistle blows; Leeds are heading to the Premiership, all thanks to my genius substitutions… You can call me José. 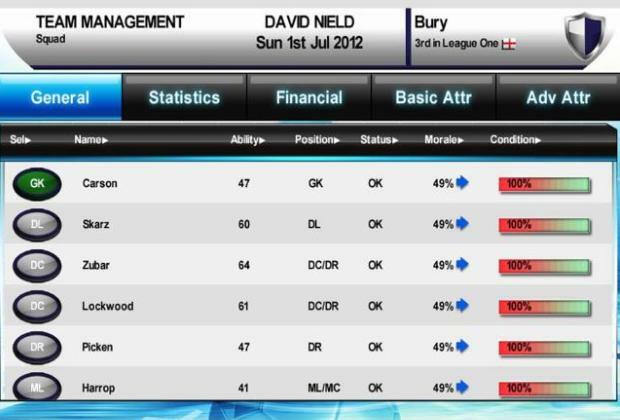 My Leeds United management was unplanned. When I loaded up Champ Man 15 I expected to restore Manchester United to their rightful place at the top of the Premier League, but alas only those with a coaching badge can manage a team rated over 70. 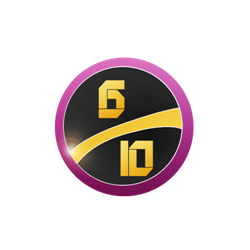 One can only acquire a coaching badge by paying £0.99 in real money or by reaching level 10 in game (which ended up taking around 3 seasons). So Leeds United was the next choice. Upon taking the job, I was greeted by a relatively small transfer budget and an expectation of promotion within three seasons. The squad wasn’t too bad, easily capable of a mid table finish, but it still needed work. Bringing in new players to the squad wasn’t particularly challenging. No other clubs seem to let there players go at their estimated value, but offer slightly more and it will generally be accepted. If they say no, you can just re-offer a higher amount, with seemingly no limit on the amount of times you can submit offers for a single player. It’s a similar deal when offering out contracts to players, with your budget being the only limiting factor. Once your team is assembled, generating game winning tactics and formations is key. My first few months at Leeds saw me try and force a 4-5-1 attacking system on the team. By the end of December we were stuck in 20th place. A change in formation to a 4-4-2 counter-attacking style, with lots of long shots (and a few new signings) started a run of form that saw us end the season in a respectable 11th – and would be the tactic that won us promotion two years later. 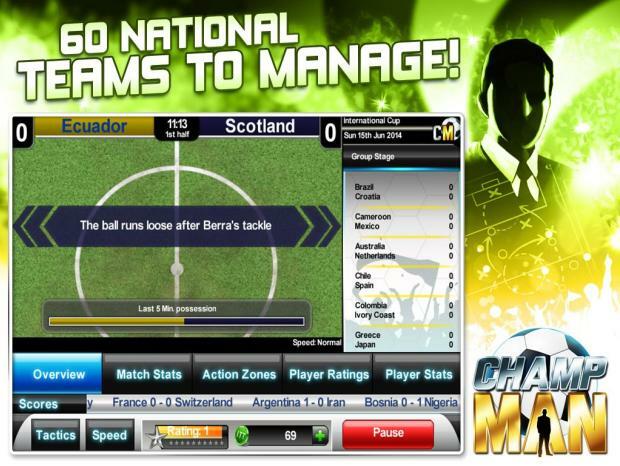 The on-pitch action comes by way of text describing the big moments of the game. It’s a classic way of doing things and works quite well. That slight pause after a shot has been hit can feel like an age, waiting to see if it flies into the net. My only criticism is that some lines are repeated too often. Managing the squad can usually be ignored. Players rarely need to be rested, unless you are playing it a high level in multiple competitions and most of the time whoever has the bigger number will be the better choice. A auto pick option will also chose your best starting 11 and subs to make life even easier. Obviously, injuries are present in the game, but at Leeds, promising young star Sam Byram was always injured. I don’t think he ever played more than 4 games in a row during the three years he was at the club. It seems that every club will have one player who is so injury prone they aren’t worth keeping in the squad. Out of interest I resigned Byram at Man U and the injury situation continued. This makes these players useless and effectively a waste of money; they don’t play many games and can never have any consistency. It’s also highly unrealistic: sure there have been injury prone players, but these are a joke. Speaking of Man U, that was my next destination after Leeds. However, the transition wasn’t as I had expected. When you join a new club the game restarts in June 2014. My four years with Leeds had been wiped off the face of the earth, players that had retired were back in their prime and some of the youth talents were nowhere to be seen. The only things you keep are you career history/level and any coaching funds or CM$ you may have. Being a free to play game,Champ Man 15 features three types of currency. You have the standard Transfer/Wage budget to spend on players. There are Coaching Funds to hire extra coaching staff and offer extra training for the squad and there are CM$ to improve club facilities such as the stadium or youth academy or even boost your transfer budget. You can purchase CM$ for real money, but you also earn some after every game, removing any real need to buy them. Coaching Funds are also acquired after matches, or can be unlocked by watching ads. The interface is in places simple and easy to use, but in others it’s horrible. Managing formations and substitutions is a pleasure; selecting an amount of money to offer for a transfer is not. You can’t select a specific amount, only predefined increases. If you want to sign a player for £48million you have to offer £50mil or £45mil. There also doesn’t appear to be a way to skip to a date, it just auto-advances to whenever it feels you should do something. VERDICT: While there are a lot of questionable design choices in Champ Man 15 there is still a lot of fun to be had. Winning that playoff final in the way I did was a great feeling that actually made me feel like the greatest football tactician in the world. Building a great squad is fun, if a little too easy, and having to restart in 2014 every time you join a new club is just ridiculous. 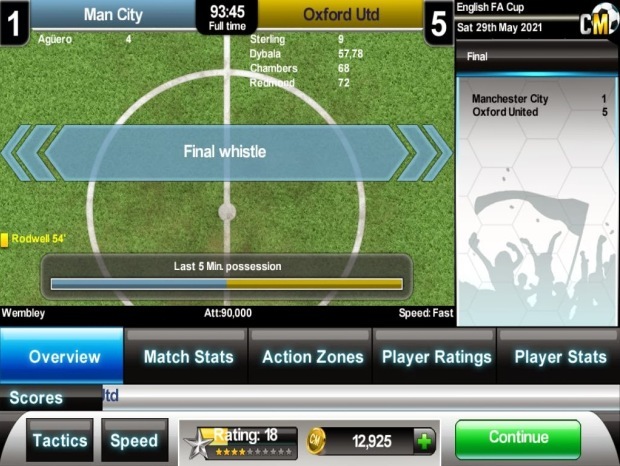 But Champ Man 15 is still a good mobile management sim. Perfect for when you are on the go, or travelling across the country for an away game!